Hello, my name is Kaelyn Marchand and I purchased this mare from Davenport horse sale almost 7 years ago, that came from your ranch. Since then she has become one of my main rodeo horses along with being one of my favorites. She has the most willing demeanor about her and has done everything and anything asked of her. She does a little bit of everything at this point and I cannot wait to see how she continues to progress. She is still fairly green when it comes to roping but continues to get better and better. 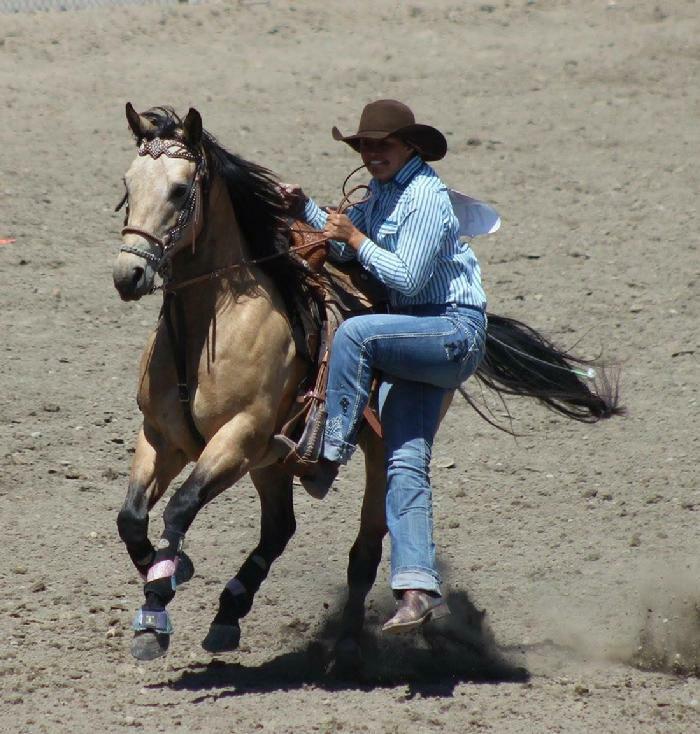 We bought a 2007 gelding "Kings Tuf Okie Star" out of Teresa's Okie Star x Kings Tuf N Royal from you back in 2010 at the Cowman's Kind Bull and Horse Sale in Madras, Oregon. We absolutely love him. We have done everything with him and nothing can bother him. He loves our 6 year old daughter and take such good care of her. They can gather all day or play all day with her friends. 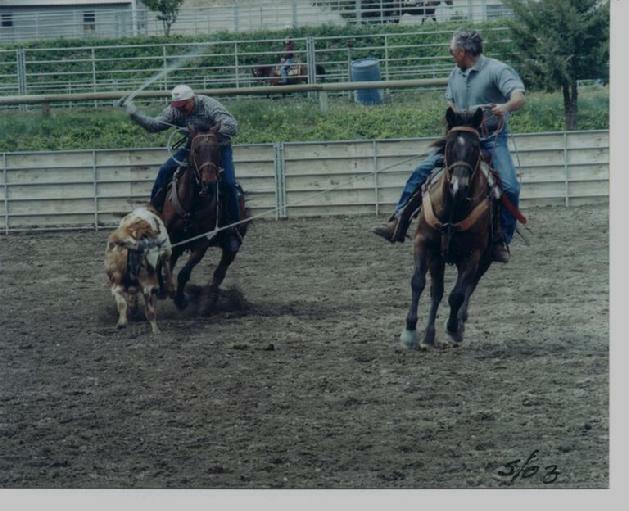 My husband has also started using him in ranch rodeos, and he did very well. "I bought a horse (Canal Derby) last year whose sire is Dandy Derby and out of Baby Lass Hancock. I am 62 years old and have NEVER had a nicer horse. I was raised on a ranch here in Texas and ridden since I was 2. Since then I have bred, trained and shown horses. But have never had a horse like this one. He loves to load up and go. Since I have had him, he has been used in all roping events, poles, barrels, goat typing, figure 8 barrels, team penning, cutting and I just got back from riding him in the back country in Colorado. I was told the previous owner used him to pack bear and elk out. There is just nothing this horse won't do and won't do willingly. Plus, he learns the first time you show him what you want, does it willingly and never forgets. He is the horse of a lifetime.Thank you for having bred such an awesome animal. - Kathie Conklin - Conroe, Texas"